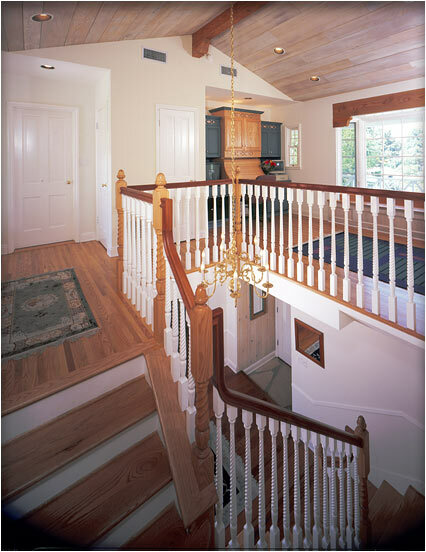 Larger Project 3-3, Stairwell » Roger Perron Inc. The stairwell was opened up and we converted a bathroom and closet into an open den at the top of the stairs, relocating the bathroom and closet. The railings are mahogany and the posts are oak with painted spindles. The foyer floor had original mahogany flooring and the second floor had original oak flooring, so we tied them together using a combination of both species of wood.